Khloe Kardashian and Tristan Thompson had a double celebration on Saturday. On Saturday afternoon, the two were joined by family and friends at a baby shower at the Bel Air Hotel's Garden Ballroom. Khloe, 33, is pregnant with the couple's first child together, a baby girl. On Saturday evening, she and Tristan celebrated his upcoming birthday at a private dinner party hosted by Rémy Martin at the Beauty & Essex restaurant in Hollywood.The Cleveland Cavaliers player turns 27 on Tuesday. Amid the cold rain, Khloe covered her baby bump in a black mini dress, paired with a long coat. Tristan wore a black and white tie-dyed jacket, a white T-shirt, black jeans and a large gold and diamond chain. "Look how nice you look!" Khloe said in a Snapchat video showing her beau. Guests included Khloe's sisters Kendall Jenner and Kylie Jenner—who was accompanied by her BFF Jordyn Woods, and Kourtney Kardashian—who brought her boyfriend Younes Bendjima, her mom Kris Jenner and her boyfriend Corey Gamble, Tristan's teammate and the NBA's biggest star LeBron James—who arrived with wife Savannah, fellow teammates Kevin Love and Jordan Clarkson, singer Justine Skye, family friends Kyle Richards and husband Mauricio Umansky and Tristan's mom, Andrea Thompson, a source told E! News exclusively. Following both the baby and birthday bash on Saturday, Khloe posted a coupled-up pic, kissing her sweetie at the shower. On Sunday, she captioned the Instagram image simply with a heart. Khloe's sister and her bestie walk in together. Khloe's sister makes her entrance. Khloe's mom and her beau arrive. The Beauty & Essex restaurant awaits the guests' arrival. Khloe and Tristan strike a pose in front of a special display by Balloon Celebrations. Tristan poses with Khloe's sister and friend. Tristan and Khloe pose with their moms. Tristan and his guests pose for a group pic. The couple, who are expecting their first child together, pose for pics. Tristan is presented with his birthday cake. The birthday boy blows out his candles. The reality star and her beau strike a pose. The group enjoyed a family-style meal of kale and apple salad, oven-braised chicken meatballs, filet mignon, Mexican street corn ravioli and the eatery's famous "Les, NYC" doughnuts for dessert, the source said. 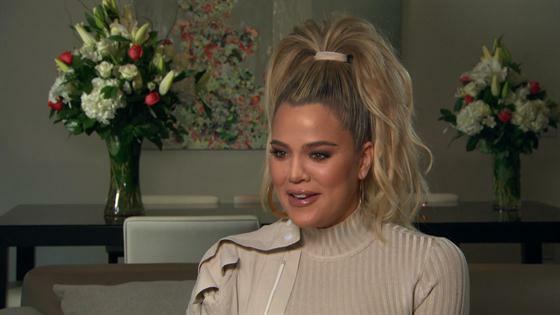 Khloe later jumped on the mic to lead the entire party in singing "Happy birthday." Tristan took over to thank Rémy Martin cognac for hosting the birthday dinner and his guests for coming to celebrate with him. As the night wound down, The Weeknd joined the party. Tristan and his teammates are also in town because the Cavaliers are playing the Los Angeles Lakers on Sunday evening.